The media are acting shocked and surprised about the civil unrest happening in Baltimore, but Jon Stewart is more shocked that people don’t understand why it keeps happening time and time again. In a Daily Show segment, Stewart broke down coverage of the riots by news outlets such as CNN — Wolf Blitzer got a particularly bad trouncing for his feigned ignorance — and detailed why communities like Baltimore are like piles of dry tinder just waiting for a match. “You know your city’s f***ed up when its last, most successful employment program was casting extras for a show about how f***ed up your city was,” he said, referring to the brutal TV drama The Wire. He also pointed out that the city has had to pay out almost $6 million in settlements in police brutality cases between 2011 and 2014. And, he wants to know, how are we so surprised that something like this happened when the same thing just happened in Ferguson, Missouri? 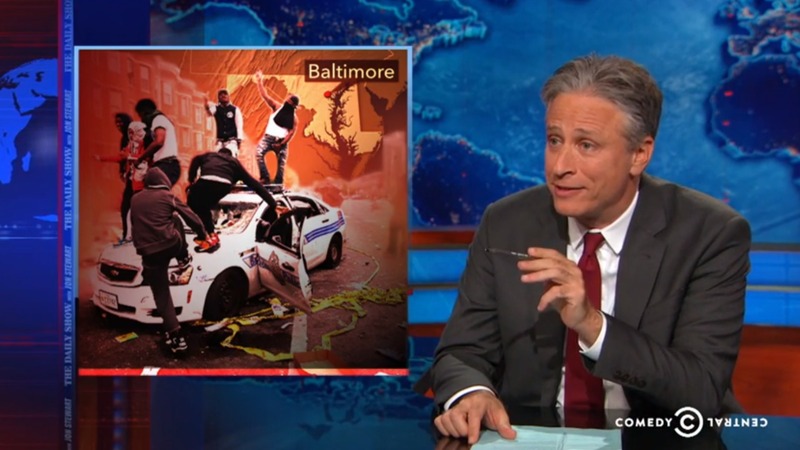 Tell us: What did you think of Jon Stewart’s Baltimore rant?